On Wednesday, I wrote about how much I love a new retro Soul Rock band called Alabama Shakes. Then, this morning, a friend of mine sent me a clip of a performance by someone whose music isn’t ostensibly thought of as Soul music, and yet he was one of the many great British artists of the 1960s and 1970s who, inspired by American Soul music, infused their own music with the kind of deep feeling and passionate vocal delivery that had been largely missing in pop music up to that point. While Elton John suffered a long, slow decline into mediocrity starting around 1974, his catalog prior to that decline is some of the most beautiful, deeply felt, funky, and oh so soulful music ever. 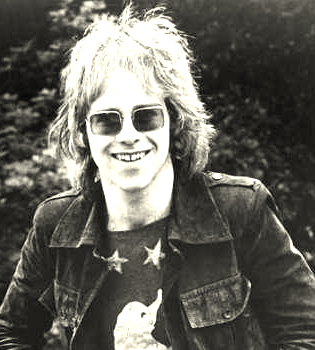 With a simple trio — Elton on piano and vocals of course, Dee Murray on bass, Nigel Olsson on drums — and lyrics from fellow Brit and songwriting partner Bernie Taupin, there’s a series of performances from 1970 and 1971 BBC broadcasts on YouTube that are nothing short of spectacular. It’s just incredible how lush and powerful the music is with such a small ensemble. But John, seemingly with little effort, coaxes so much sound out of the massive grand piano that dwarfs him, Murray’s melodic bass lines hold down the bottom end, Olsson’s drums, loaded with subtle syncopation, hold down the rhythm, and their occasional three-part harmonies bring it all together. Since I couldn’t pick just one, here are some of my favorites, with the last one featuring a 1972 addition to the band, guitarist Davey Johnstone on mandolin. Good old Elton John.. he was always a great favourite of mine 🙂 Thanks for reminding me why..